I have a special guest today! Chera happened to be in town this weekend for a family wedding so me and our other stamping buddy Fran all got together for some crafty fun! We even convinced Fran to play along in the sketch challenge! So I've got three cards to share! 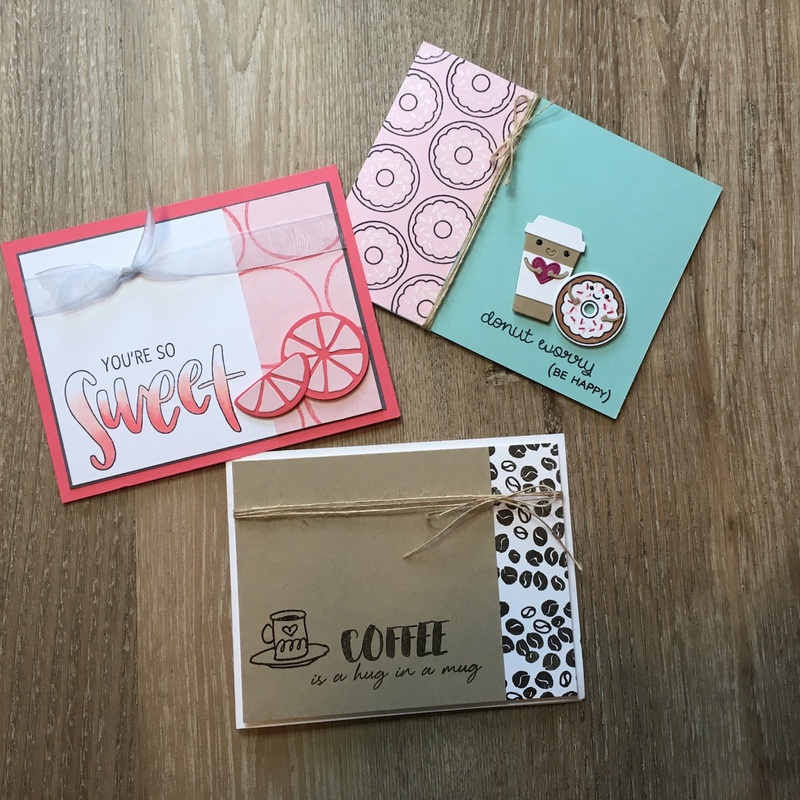 Between the three of us, we're featuring several different companies- Concord and 9th, Altenew, Stampin' Up, Papertrey Ink, Simon Says Stamp and Lawn Fawn! Here's the sketch! I made the sketch originally in 2009, when ribbon was a much more popular item. We had an interesting conversation about this one as we reminisced about all the pretty ribbon we HAD to have and STILL have, but it's not as trendy. But you know what I say, ribbon is still pretty, make it work! First up, we have Chera's card. 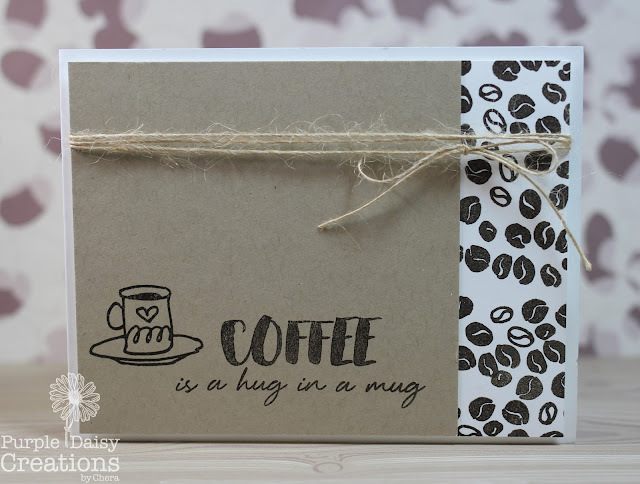 She started with a white panel of card stock and used some Early Espresso ink and the coffee bean images to make her own stamped paper. Next she chose one of the sentiments and this fun mug, also from the Coffee Love stamp set, and stamped those on Kraft. Those panels had some jute twine added and then she adhered those to a white card base. How fun, right?? Next up, Fran's card. 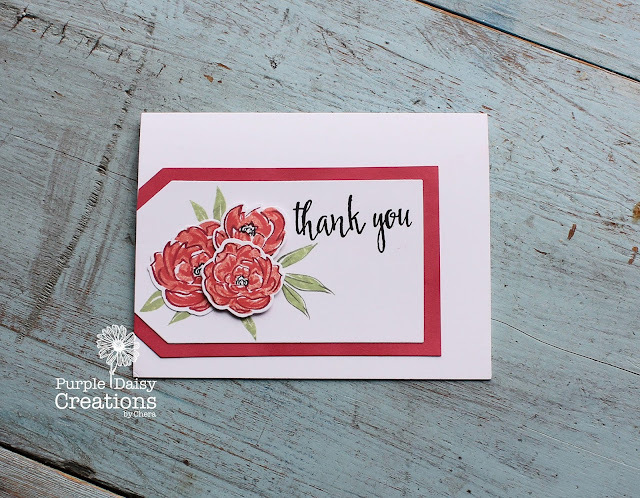 Fran doesn't share much of her card making online, but she is super talented and has a great eye for details! She changed up the sketch a tiny bit, but was still inspired by the general layout. 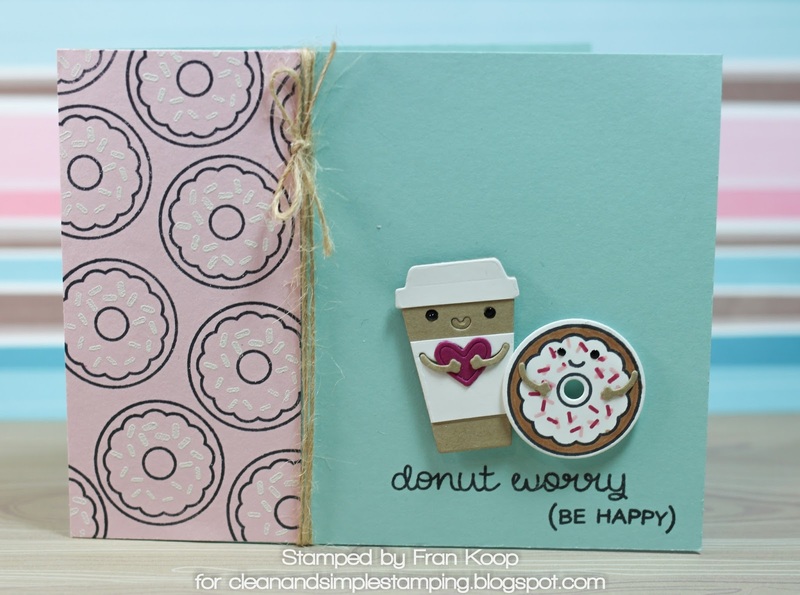 She started with some donuts stamped on the pink cardstock. 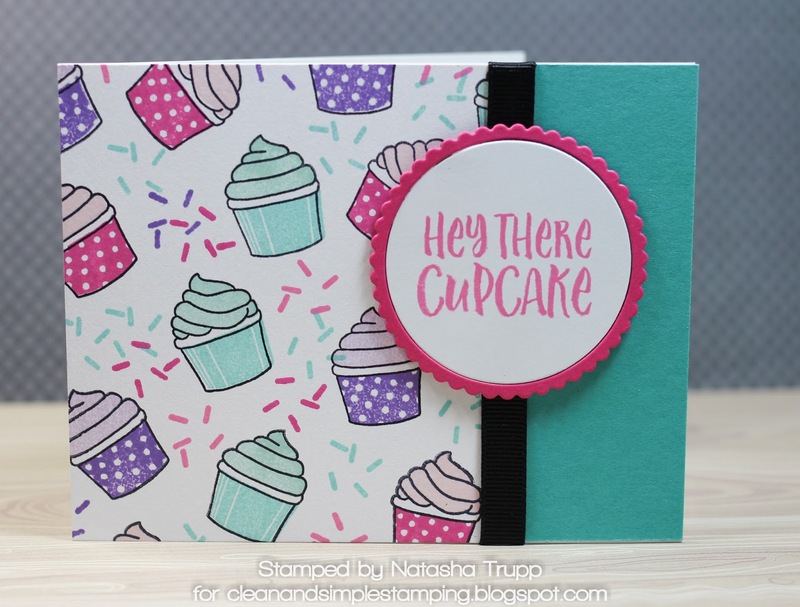 For the sprinkles, she embossed them with white embossing powder. Next, she made these two cute embellishments. The donut comes from the Donut Worry set by Lawn Fawn and the adorable coffee mug is from Simon Says Stamp's Coffee Love. She loved how the coffee cup had the little arms and used the same arms from that die to add to the donut. To add some additional dimension, Nuvo drops in black were used for the little eyes. Since the jute twine was still on the table, she added that as her ribbon element too. She was going to apply it horizontally- like in the sketch, but we all decided that it worked better visually vertically. Super cute right? 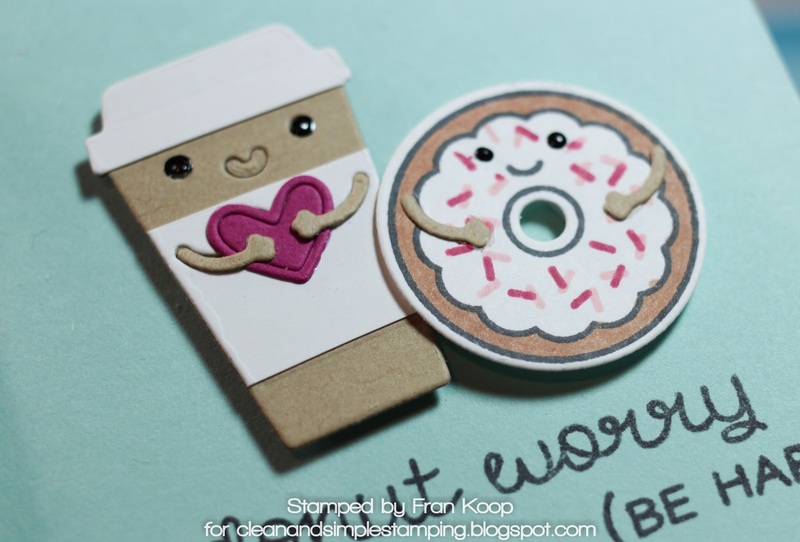 And just a close-up of the adorable coffee and donut pair! Now, it's time for my card. Since we were at Fran's house, I wanted to make use of some stamps that I don't own. This is one of those sets- Orange You Sweet by Concord and 9th. I started with the large outline Sweet image. I stamped that in Memento black and coloured it with Copics using a slight ombre look. 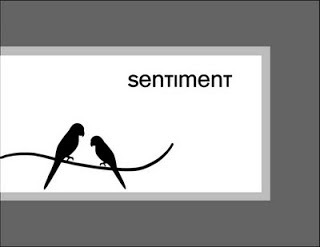 I finished off the sentiment with another line from that set. 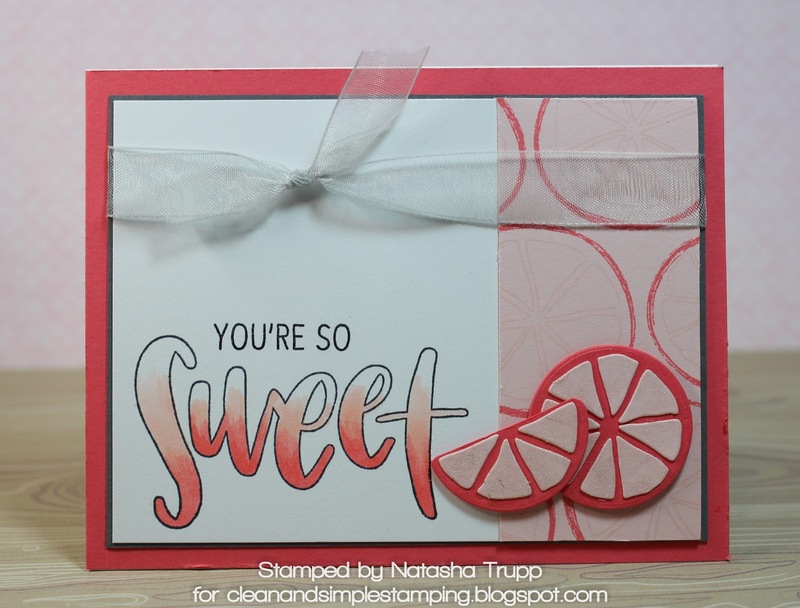 I was in a pink grapefruit mood apparently, so I stamped my side panel with the rind and sliced profile images as well- using Berry Sorbet and Sweet Blush on Sweet Blush card stock. It was feeling too plain, so I die cut a few slices from the Orange You Sweet dies. I also added a touch of Wink of Stella to give them that fun shimmer. The final touch was some sheer Basic Grey ribbon. 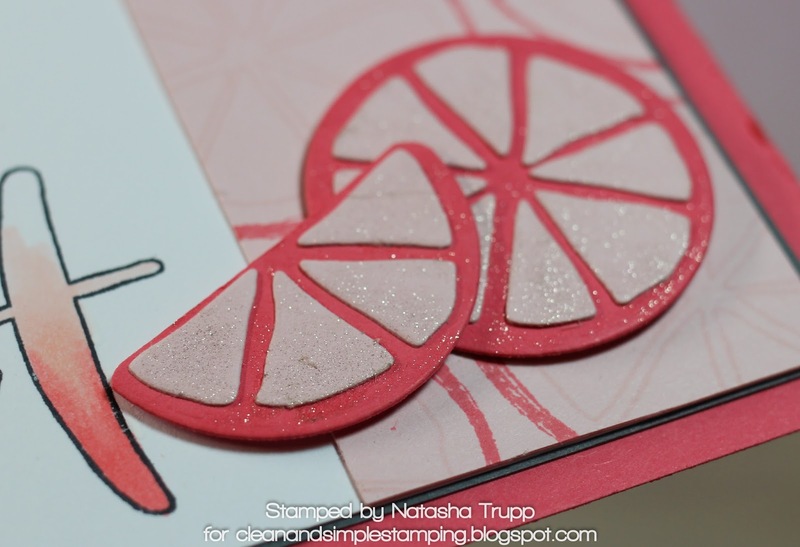 I added the main panel to some Basic Grey card stock and then onto my Berry Sorbet card front. And here's a close up of those shimmery slices! And here are all our projects together! Just to prove we were actually together haha! If you play along, please leave a link to your project! Here's this week's sketch. I love how this one really allows for so many different backgrounds. I decided to make two cards. I just got some Concord & 9th products and wanted to use those some of the new to me products. First up the Wildflower set and a sentiment from the Sunshine Turnabout set. I stamped the flowers all over some watercolour paper. Then I painted a different colour over each image. To finish it off, I added some splatters. I paired that with a Bermuda Bay panel. The sentiment was stamped on the scalloped circle of the Sunshine dies. The next card features some of the other images included in the Sprinkles Turnabout set. One thing I love about this is that the Sunshine circle die works perfectly with the sentiments included in this Turnabout set as well! 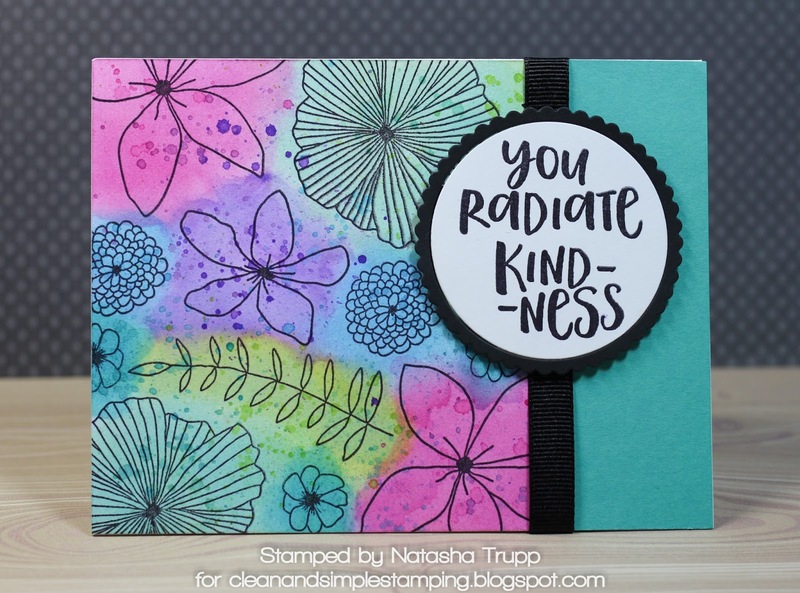 I know this isn’t the simplest of CAS cards, but I just love making a background out of text words to match the card! For today's sketch I used Wplus9 Sending Sunshine. I used the longest sentiment to stamp on my card base “you make me happy when skies are gray”. 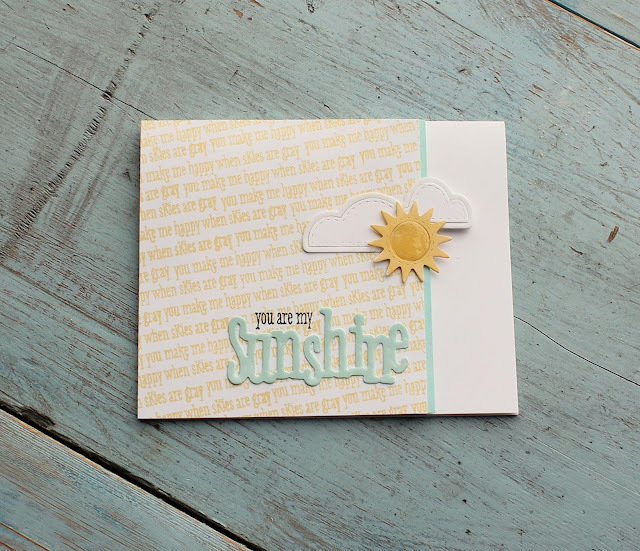 Once I had the background all stamped I die cut out the element pieces: sun clouds and the word sunshine from the matching die set (sunshine layers). I placed everything into position, added some glossy accents to the word sunshine, the outer layer of the clouds and the inside of the sun for some added detail!! Sure hope you liked today's card and I look forward to seeing your creations! It's time for another sketch! Here's my card. 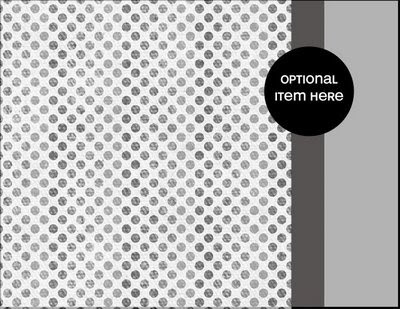 I wanted to make my own patterned paper for the main panel. I got out some Harvest Gold card stock and started stamping stars all over in Orange Zest, Bright Buttercup, Harvest Gold, and Summer Sunshine. 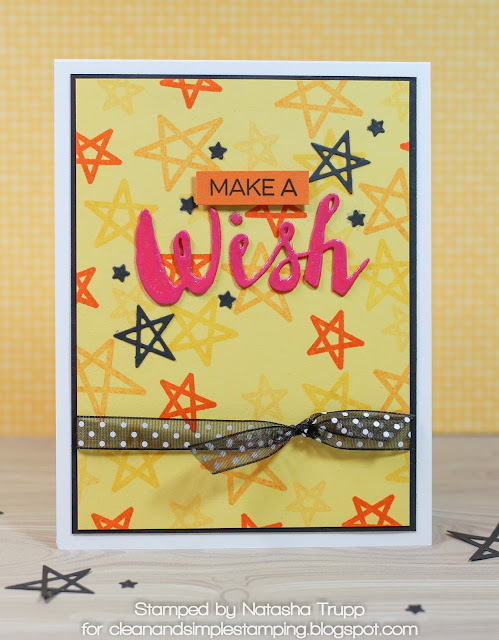 Next I die cut the "wish" from some Melon Mambo, and added some glossy accents to that. 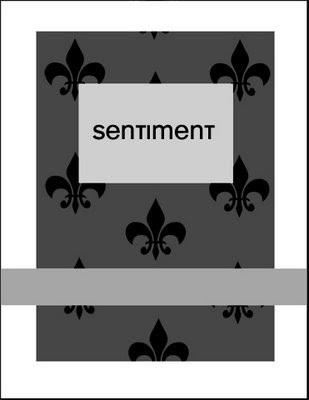 I adhered that to the patterned piece and then added the popped up "make a" portion of the sentiment. For some added interest, I added a few die cut stars, cut from black card stock. 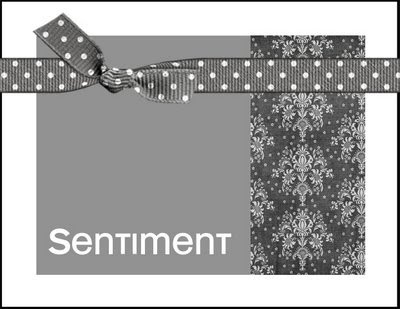 I used sheer black polka dot ribbon for my small horizontal element. One thing I really like doing with this sort of layout is adding a black mat. When using black elsewhere on a card, this black mat really ties it all together. Happy Sunday!! Here's my take on this weeks sketch! Had fun with this one…pulled out another old set from Wplus9 Quilt print. 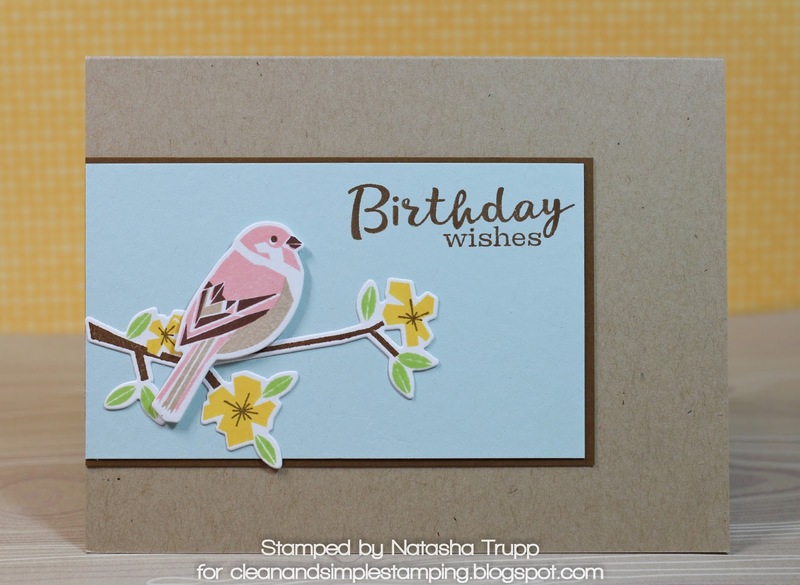 I started off by stamping the card panel with versa mark in and then clear embossing powder over it. Once the while card front was covered I pulled out my distress inks to give this ombre look (seedless preserves, victorian velvet and spun sugar) Added the happy birthday and some sequins for sparkle!! I started with a branch from Spring Woods. I die cut that and used the MISTI for accurate placement. One tip for this set-if you are going to use the dies, be sure to die cut first and then stamp. After that I die cut the bird and stamped that. I suppose there aren't that many pink birds out there but I thought it went nicely with the colour scheme. The greeting comes from the Winter Woods set. Happy Sunday everyone!! Here's my take on this week's sketch for you! I’ve been going through my stash of stamps lately and pulling out sets that have been neglected for a while! Todays set is Wplus9 pretty peonies! The Thank you is from Altenews Many Thanks set! 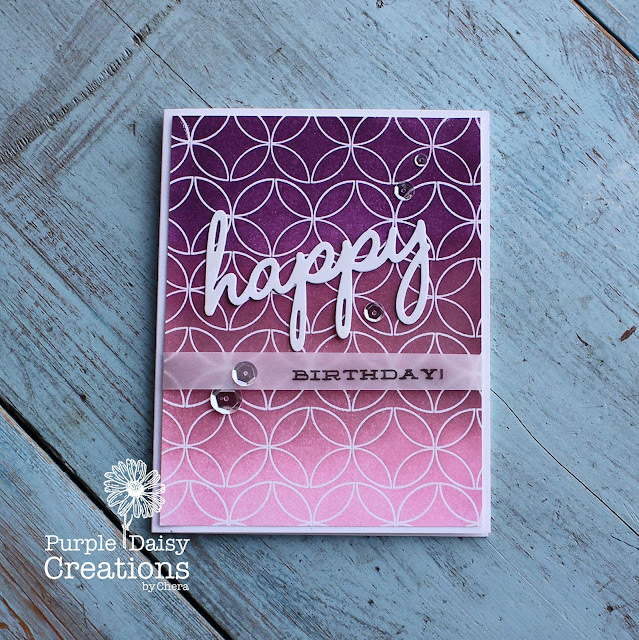 I stamped the leaves image onto a piece of white cardstock I die cut from MFT tag die set. Once that I then die cut the flowers and stamped the images on them and popped up a few just for added dimension! Hope you feel inspired! I look forward to see what you've created!